There was little time before the light went for the day, and the gathering clouds were threatening to form a blanket that made the light too diffuse. The sheep were happy to continue grazing as I took photographs. 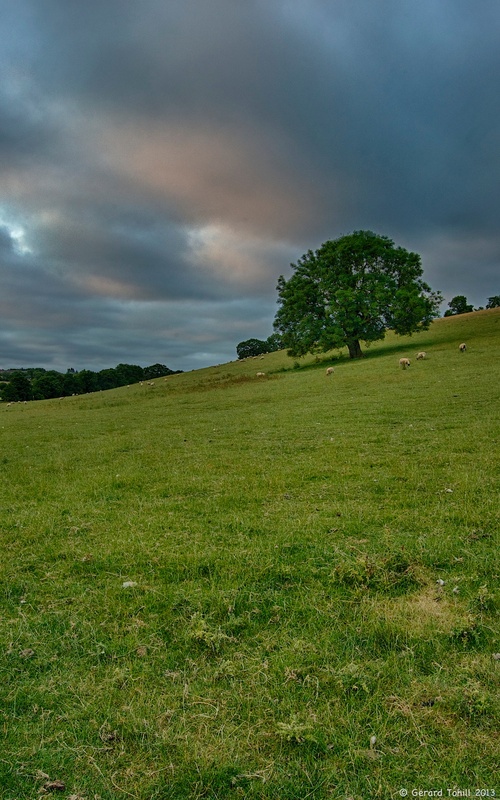 One thing I learned – it is next to impossible to persuade a sheep to stand in the foreground to aid composition. Please note: no animals were harmed in the making of this photograph.